It’s a new start to the year and we have a full calendar of training courses in place to make sure every interested volunteer is getting the skills and answers they need. The trainings will take place on Saturday mornings from 1000h to 1100h in various locations around the club (these locations are defined in the schedule). 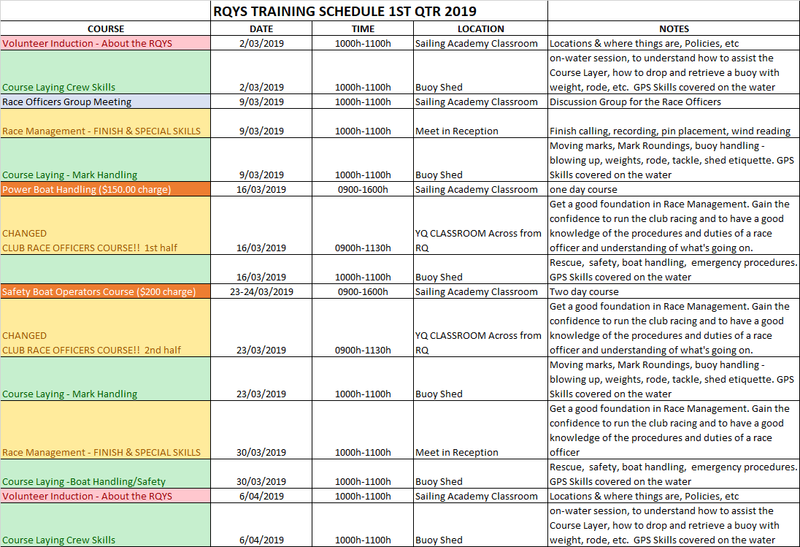 The Training Schedule has been added to the volunteer roster system – https://rqys.volunteerroster.com/ on the RQYS website and the RQYS Volunteers Group on facebook https://www.facebook.com/groups/RQYSVolunteers/ . We will be running Race Management and Course Laying at the same time (1000h to 1100h Saturday mornings), in different locations, so it will be possible to cover several topics in a short period of time and ensure volunteers are able to do as many sessions as they like. It would be optimal if all volunteers could attend at least one session per topic. The Royal Queensland Yacht Squadron and Yachting QLD have come together to give any interested RQYS volunteers and instructors an exclusive chance to attend a FREE Club Race Officers Course on the 16th and 23rd of March 2019. Normally there is a $65.00 fee for the course, but we have been able to arrange the free sessions to encourage all volunteers and instructors to attend the course as a chance to improve your knowledge base of the rules and processes of Sailing Race Management. 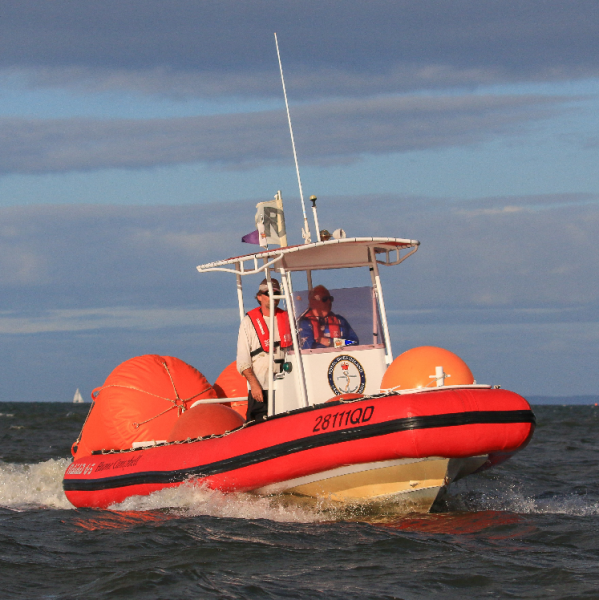 This seminar is ideal for people taking part in the Race Management and Course Laying sessions as it will explain what is happening on the Start/Finish boats and give the course layer and crew a better understanding of flags and what they might have to do if a race needs to be shortened or abandoned. The CRO seminar is also aimed at educating volunteers in the basics to conduct consistent, fair and safe club racing. Even if you don’t plan on becoming a CRO or higher (State, National or International Race Officer), this is a chance to really get a good grounding in the rules of racing and how a race officer determines the course bearings, length of the course, flags and associated sounds and more! The internal RQYS training sessions are free. We find the best way to approach the training sessions is for a volunteer to attend the morning theory session, then go out and volunteer in the afternoon for club Off the Beach racing, to get some practical experience in what they have learned. If you have any questions about the training or being a volunteer, please contact Susie Jones on 07 3396 8666 or by email volunteers@rqys.com.au.